Keller Williams surpassed 125,000 sales associates recently, increasing its associate count by 17 percent since January. Its increase in sales associates has proven good for sales too. The franchise's transactions are up 20 percent to nearly 400,000 units and sales volume has risen 26 percent to $100 billion. Its agents have earned $3 billion in gross commission income. 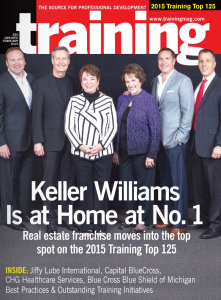 Also, Keller Williams franchise owners have increased their profits by 37 percent. "We're growing at six times the rate of the overall industry," says Chris Heller, CEO, Keller Williams. "We're focusing on innovation and providing top-notch real estate business training and coaching to our agents. It's the reason we're outpacing the market and providing more opportunities for our associates and their families." Keller Williams, which is based in Austin, Texas, has a profit share and growth share program, which rewards sales associates who help the company grow. In 2014, the company gave back $98 million and has now surpassed $650 million in distributions since the program begun. "With growth, we're even better positioned to reinvest in our people," says John Davis, president of Keller Williams. "We're currently innovating and supplementing our robust training programs with the latest technology solutions that will fuel the success of our agents tomorrow." Keller Williams of Glendale, Burbank and La Canada like to do things a bit differently. Every month a contracts class is hosted by one of the offices leading agents, Danny Hart. "For new agents, this class is their first step into starting their own business, it is to get comfortable with the contracts, steps 2 and 3 is to practice writing them" Hart states. 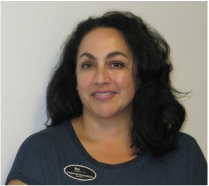 "For seasoned agents it gives them a refresher on the contracts, a new perspective. It is great for agents coming from other brokerages, because it introduces (and reminds) them to learn/know what our Brokers want to see." "The goal of this class is to prepare our agents to be able to present offers that will not be countered... we want them to be 100% prepared." "This is my second time taking this class, and it just gets better, because now it's REAL LIFE... I just opened escrow today on a property!" "Danny is a great instructor, he really knows his stuff! I have been active in Real Estate from 2005-2009, and I just started back up in December of 2014, so this class is a great way to refresh my memory and to reassure me that I do know my contracts!"